At the time of partition, Pakistan was the main recipient of British bureaucratic legacy. Those we inherited included good, bad and the ugly. The good contributed their share by helping lay the foundation of the new state from scratch. I remember growing up in the vicinity of the new Pakistan Secretariat where we used to see our ‘Babus’ burning their candles at both ends in their tented offices along with the then known Intelligence School Barracks. Often we were asked by them to go and pick “Keekar” thorns for them. Since they were like pins, they were used to assemble papers together in the official files. The thorns served their purpose, and the newly born state seemed to know how to survive without much funding, since its share had been withheld by the Indian Congress government. The most outstanding characteristic found in the ‘Babus’ was their incorruptibility. They were never tempted to meet their financial short falls by recourse to bribery. Whether it was senior or junior officers — none had the luxury of cars, air-conditioners or fans in their offices — yet they routinely worked past their office hours, braving the heat and the humidity without a wrinkle on their foreheads. Until Ayub Khan’s martial law came about in 1958, element of corruption in the civil and police services as well as politicians was negligible. Pakistan’s first Prime Minister (PM) Nawabzada Liaquat Ali Khan born with silver spoon, died with no bank balance. Everything he had was left in India. So did the second PM Khawaja Nazimuddin, a scion of the family of Nawaz of Dhaka. He did not fix his son in any coveted position. He was an officer in PIDC. The third PM, Mohammad Ali Bogra did not leave behind much wealth or property either. His son continued to serve as a banker. Even a Governor General like Ghulam Muhammad who derailed democracy cannot be accused of financial misdemeanour. His successor, President General Iskandar Mirza when he was booted out by his Army Chief, made it a point to pay from his account whatever he owed to the Presidency. And when he died in exile in London he was earning his livelihood as the Manager of a leading Indian restaurant on Regent Street. The downward slide began with Ayub’s martial law. He showed the way forward by retiring his Sandhurst trained Captain of Pakistan Army to let him make use of his “hidden talent” as a businessman. Today, it is nigh impossible to find an honest officer in civil, police or other services. 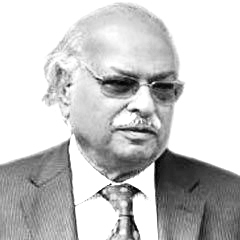 Corruption as the major curse afflicting the country was identified by the Quaid as early as the inception of the country and ever since then it has grown gigantic in magnitude, gnawing at the very roots of our socio-economic fibre. The most deplorable aspect of the whole scenario is that the framework for good governance as manifested in the Rules of Business are torn to pieces every day by the ministers, followed by their secretaries to implement their illegal orders in defiance of rules and regulations. Prime Minister (PM) Imran Khan has rightly prioritised reform of civil and police bureaucracy on top of his agenda for ushering in good governance. His address to the bureaucrats the other day was inspiring, with emphasis on depoliticization of public services that could possibly be a step forward towards meeting the challenge of rampant corruption, retarding meaningful socio-economic progress in the country. His critics say that one cannot be taken for a ride on the basis of good, motivational speeches with high sounding clichés, what would matter would be deliverance on the basis of merit. Until now, the PTI government has enjoyed the best of everything. The establishment has come out openly as its main supporter and so has the apex judiciary that has taken upon itself the task of venturing to do suo moto things that would be well nigh impossible for the Khan government to do such as building of dams. Not with standing the undiluted support that he has been receiving, some of his old supporters question whether the Khan has ‘the spine to stand up to pressure’. This is a legitimate concern, considering the many U-turns he has taken. The most prominent recent example of this is the removal of Dr Atif Mian from the Economic Advisory Council (EAC) because of pressure from a handful of clerics. Khan should remember that the real test of leadership is not in making motivational speeches, but making unpalatable and unpopular decisions.